Paramount Pictures has just launched the first banner/billboard art for “Transformers: The Last Knight,” the fifth Transformers movie from director Michael Bay. Mark Wahlberg reprises his role as inventor Cade Yaeger, and he is joined in the cast by the returning Josh Duhamel and new members Tyrese Gibson, Laura Haddock and Anthony Hopkins. The most recent film in the franchise, 2014's “Transformers: Age of Extinction” grossed $1.1 billion worldwide. 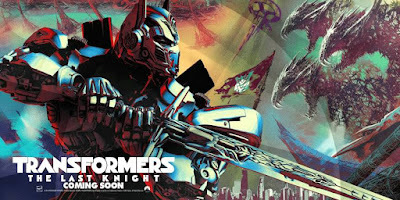 Opening across the Philippines in June 2017, “Transformers: The Last Knight” is distributed by United International Pictures through Columbia Pictures.